“It was great to be invited to speak at the Travel Technology Europe event in London this week. 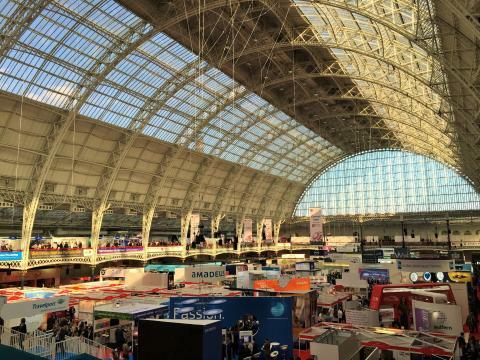 Technology is often the overlooked part of what keeps the aviation and travel sector moving, but from the large crowds at the event it is clear the industry is keen to hear what challenges and opportunities new technologies will present us with in future. “I was speaking at a panel session with Chief Information and Technology Officers from the travel industry and we were each asked to discuss was what our key technology priorities are in 2016. 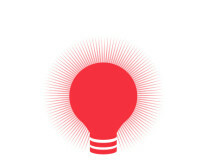 For Norwegian, there are 4 key areas in technology that we need to focus on. “The first two are essential' behind-the-scenes elements - 1) Core systems modernisation and how we continually improve the underlying IT infrastructure our business relies on; and 2) Cyber Security and how our business needs to continuously understand the threat level and protect our IT resources supporting the business..
“The next two are perhaps the more exciting, glamorous side of our business - 3) how we use technology to continue improving our In-flight entertainment services; and 4) how technology is enabling and supporting customer loyalty with schemes such as the Reward programme. “On these last 2 points, I'm proud that Norwegian is already ahead of many in the industry - we were the first airline to offer free WiFi and live TV on all European flights, and the Reward team continue to improve the Loyalty (Reward) programme to keep it one-step ahead of what our competitors offer. “But there is always more we can do and lessons we can learn from other industries - on that point, the panel discussion turned to the topic of Uber and Airbnb and we were asked for our thoughts on these 'disrupter' industries. “In my view, what companies like Uber and Airbnb have achieved is very impressive and although it is difficult to directly replicate their models in the aviation industry, there is still lots we can learn from how these companies have been using technology to disrupt and transform their industries. 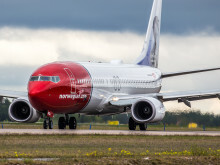 “In many ways, Norwegian is also a ‘disrupter’ in our own industry – with new aircraft and free WiFi, we are challenging the idea that low-cost cannot also mean high-quality; and with our game-changing low-cost long-haul fares, we are challenging legacy airlines and the cost of transatlantic travel which has been too high for too long. “So we are already using technology to make some very positive steps but there are always challenges ahead and the final question at the session was perhaps the trickiest to answer - what keeps you awake at night? “My answer is simple – “How can Norwegian do more with less”? Norwegian is a low-cost airline so our success has been built on being cost efficient, using smart technology, and passing the savings on to our customers with low-fares. It is essential that we continue to drive down costs while still offering our customers new routes, efficient operations, and innovative new services.